Refugees are not a cause but a symptom of a broader European political crisis, which a leading Greek scholar argues might well end up with Europe in ruins. More than a million migrants and refugees crossed into Europe in 2015 to seek asylum, traveling across the Mediterranean Sea or through southeastern Europe. Winter did not stem the flow of people — with 135,711 people reaching Europe by sea since the start of 2016, according to the UNHCR. EU leaders have been unwilling and unable to respond to the urgent need for assistance and protection of over a million men, women and children. The policies and actions of European governments have actively contributed to the worsening of the so-called “refugee crisis” and the health and well-being of those who fled. One after another, the opened borders of southeastern European countries have slammed shut. A clear manifestation of this new dystopia is the EU-Turkey agreement of March 18, which ordains that all refugees and immigrants arriving in Europe via “irregular” routes will be deported to Turkey. The Greek government followed the European lead and signed this shameful agreement. 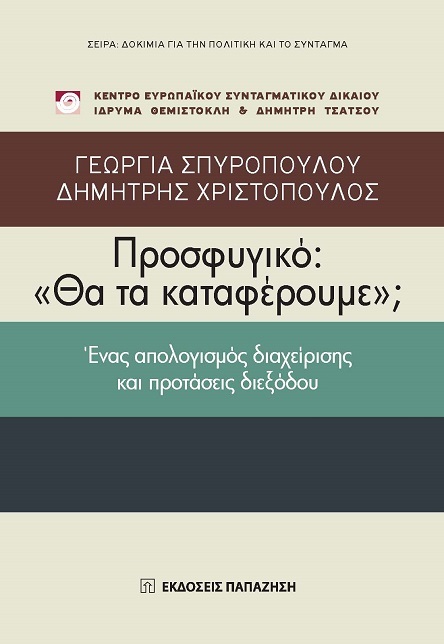 Few are better equipped to understand these developments — or the role of ideological state apparatuses in the current Greek conjuncture — than political scientist Dimitris Christopoulos, a Professor at Panteion University and Vice-President of the International Federation for Human Rights. His work on immigration, social and political rights, and Greek and European institutions has given him a penetrating insight on today’s political moment and its broader meaning for the left. 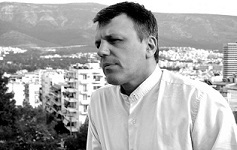 In this interview, George Souvlis, a PhD candidate in History at the European University Institute in Florence, speaks with Christopoulos about the refugees crisis, the poor performance of the Greek government in transforming key parts of the state apparatus, and the recent developments regarding the trial of the extreme-right Golden Dawn party. George Souvlis: What are the main causes of the refugee crisis? Dimitris Christopoulos: I keep on saying that what is happening in Europe is not a refugee crisis. It is a reception crisis, a solidarity crisis. The European problem is not that we have too many refugees, but that we do not want refugees at all. The cause of the reception crisis is the European fear of migrants and refugees. Once we decide to build fences against poor outsiders we will start doing it for everybody, and then the idea that we can live together constructing a project of political unity is dead. Just see what is happening today in Europe. I have no fetishism for any idea of European integration within the EU, but what I know, tracing the legacy of the twentieth century, is that once European nations give up togetherness they end up in war. Refugees are not a cause, but only a symptom of a broader European political crisis, which might end up with Europe in ruins. You know, we cannot avoid some type of transition… We can’t expect European history to stand still. Yet we need to assume that the transition to a new era won’t be the result of bloody conflicts, as it has happened in the past. How do you rate the Greek government’s management of the crisis until now, especially taking into account decisions like the push-backs it agreed upon last April? Was there any space for a different handling of the situation? What can be done from now on? The Greek government should be applauded for having contributed to the creation of a general human feeling of solidarity vis-à-vis refugees in 2015. Had there been government with a more xenophobic discourse, such as the previous Greek one, the message that Greek society would have received would have been one of fear and violent reaction. I appreciate that the Greeks have shown compassion and I attribute that, to a large extent, to the way the whole crisis has been dealt with at a discursive level by the Greek government. Yet, apart from this, I can’t say much good. Greece never assumed any serious responsibility vis-à-vis the refugees because the implicit or explicit position has been that since the country is not a destination it has not much to do. So, unfortunately, from generous traffic policemen saying “welcome” and “bye-bye” to the refugees we ended up doing the dirty job for the rest of the EU, implementing the shameful EU deal with Turkey. We urgently need to revise the deal, otherwise not only we will be severely judged by history or by our human consciousness but by the forthcoming rulings of the European Court for Human Rights as well. Speaking of this EU-Turkey agreement, do you believe that it signals a shifting point in the history of the EU? Is Turkey safe for refugees? Do you think that, considering the existing balance of powers within the EU, there is any room for improvements benefiting the refugees? It took Europe two wars and millions of refugees and displaced persons to form a normative corpus for the protection of these populations with the Geneva Convention of 1951. One million refugees in 2015 has been enough to abolish this achievement. This is extremely shameful and dangerous in the long term. The legal formula here is the infamous “Turkey — third safe country”. Turkey has signed the Geneva Convention and ratified it with a geographical limitation. Only Europeans can apply for asylum in Turkey. So once we return Syrians to Turkey we risk that they could be returned to Syria. Now, as to your question if there is room for improvements, a priori, I believe that there is always room for that. Or let me put it otherwise: should we do nothing because of the existing balance of power within the EU, there is room for things to worsen for refugees and for us. Do you believe that it makes sense to distinguish analytically between refugees and migrants? Does this not contribute to the formation of a new biopolitical regime in which human dignity is equated with legal documents? I see the point of your question and I can sincerely tell you that, whereas analytically I see no point to distinguish between the two, on the normative level I do see a solid point. Should we go for equalizing refugees to migrants because, as you well say, analytically they both belong to the same matrix, we will end up in a lose-lose situation. The right of non-refoulement which only applies to refugees will be undermined and migrants’ rights will also be downgraded. The refugee — this is what I teach my students — is like a violated woman who seeks protection knocking on our door. We don’t say “sorry, it was not my fault” and close the door. We open it and welcome the person who is persecuted back home. This lawful expectation of the refugee has been integrated into international law and I believe we should do our best to safeguard it. Should a thousand violated women then knock on the door, we have the legitimate right to tell the neighbor that we should share that. By doing so, we might have a chance to make life easier for economic migrants also. Otherwise, both groups will suffer more. A society respecting refugees is more likely to show some respect for the dignity of migrants as well, and vice versa. Let me return to Greece. You have conducted research on the Greek “deep state”, which was published two years ago. Let’s discuss the role of the police in the new government. Against its initial pledges to demilitarize and denazify the police, very few moves have been made in this direction until now. What is your take on this issue? My view is that already by January 2015, the then new Greek government had not prioritized such reforms. This is a pity, since the conditions to integrate them have been ideal. Instead, the emphasis has been put on the negotiations with the creditors, and all the rest has been frozen. Not much has been done ever since in terms of reforms to consolidate the rule of law or to strengthen rights in the country. I can count a good reform of the penitentiary system, the reform I have personally been working for, the Greek Nationality Code change (favoring citizenship acquisition for migrants’ children born or raised in Greece), and the civil union for same gender couples). As far as the rest is concerned, the government has shown considerable reluctance. There are reasons for this: the government’s junior partner, ANEL, is a right-wing party that cannot endorse this agenda. To a broader extent, SYRIZA’s strategy has been, right from the beginning, to construct solid alliances with a part of Greek conservative elite in order to broaden its impact within Greek society. Such decisions are echoed in decisions, like the appointment of the new President of the Greek Republic, a well-known moderate-conservative professor, and particularly in decisions about the leadership of the judiciary. Last but not least there’s the Church, of course, whose privileges remain intact. Would like to give an update about the Golden Dawn trial? What are the latest developments? Do you think there is a danger that the Golden Dawn members may be declared innocent due to the lack of sufficient evidence? Would this then allow them to play the card of the “corrupted parliamentary regime” to gain greater support in Greek society? The Golden Dawn trial has just started again after six months of interruption due to a lawyers’ strike. 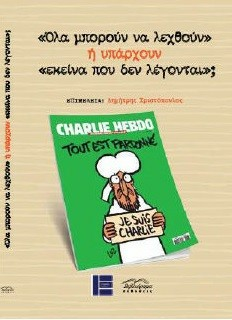 I find it disgraceful that we are not even able to do this trial in Greece today. It is a top priority for the Greek Republic to face its enemies. I know that a court room is not the only — and not even the ideal — place to fight Nazism. Yet, since the Golden Dawn members have been committing heavy penal crimes in this capacity, they should face justice. You can’t kill, stab or beat people because your sick ideology dictates you to do so and expect that, at the end of the day, the legal order will remain indifferent. Yet what is important with the trial is not to send the perpetrators of the crimes to jail but to render the leadership of the party responsible for acts committed under their orders. The party leadership obviously denies everything. Yet there is evidence proving that such crimes were conducted under a certain chain of command, leading to the safe conclusion that Golden Dawn is not a party like any other but a Nazi criminal gang. Regardless of whether the Court will rule that, my feeling is that Golden Dawn has reached its electoral limits in Greece over the last years. You see that in four consecutive elections in 2012, 2015 and 2016 the party never managed to get more than 7 percent. I am not saying that we should remain calm about it, but we should also not allow ourselves to be terrorized by them. Nazis essentially want to spread fear around them, and in order to beat them we need to beat the fear in the first place. The emergence of new (and the strengthening of existing) far-right, xenophobic and Nazi parties and movements is a common political denominator in many European countries these days. However, on the one hand, we observe that these organizations become more mainstream in an attempt to broaden popular support in a way that fits better with Europe’s parliamentary standards, and on the other we see the phenomenon of many liberal and conservative parties adopting explicitly far-right policies and rhetoric when the conjuncture demands it. So you argue that this is not a crisis anymore, but a new regime? Absolutely. Conceptualizing this juncture as a transition, as a chain of causes and consequences, means that we have to start conceptualizing the crisis as a meaningful moment of a different transition process away from and not towards democracy. Political liberalism in a post-democratic context remains pertinent only if we are able to articulate a discourse of defending and promoting individual along with political and social rights. Should we forget social rights — as many liberals today tend to — then indeed, I would agree that we have a serious problem. What I would call a convincing left strategy in our days entails the combined integration of the fundamental premises of political liberalism along with civic republicanism, the defense of the self-determination of the body politic. Do you believe that self-determination is under threat? I believe that the European political and economic elite has lost contact with what the people want and what they think of themselves and their expectations. Whenever people are asked, every option going against the establishment’s will prevails. Whenever they are asked, the people spontaneously go against the mainstream will. Look at what happened with the French or the Dutch referendum for the European Constitutional Treaty, the Danish referendum on the opt-out from the European treaties, the Icelandic referendum on the loan guarantees, and, last but not least, the Greek referendum regarding the bailout agreement. By saying this, I do not mean that all these people necessarily did the right thing. I mean that Europeans today do not have any “ownership” over what is decided about their fate in their names. Yet you argued against the referendum. How would you evaluate the Greek government’s performance ever since? Could things have gone otherwise, or was there no alternative, as the Greek government has been arguing? Indeed, I believed, and still do, that the announcement of a referendum was ahopeless decision that could only end up with a “no” becoming a “yes” the day after. You know, when Marx argued that “philosophers have only interpreted the world, the point, however, is to change it,” he did not mean that we should not interpret the world. He meant that only a true understanding of what’s happening might help you to change it. And this is where the SYRIZA government miserably failed. The Greek government unfortunately had a completely wrong understanding of things; an understanding guided by a well-intentioned voluntarism and a suffocating verbalism which, given the circumstances, gave way to pure cynicism, as we see in the way they are defending the bailout agreements or even the EU-Turkey deal. While we (rightly) demonize the creditors and the EU’s criminal stance that drove Greek people to despair, we should know better: the weak will never win by simply parading its just and honorable cause. On the contrary, he typically squanders the cause in so doing. And despair is never a good advisor. Had we been even minimally materialist in our reading of the situation, we would have known this and might have been able to prevent the disaster that ensued. You know, I am no moralist, but let’s face the truth. What’s most frustrating for me is not so much the defeat itself. That happens and it is not the first time the left is defeated. 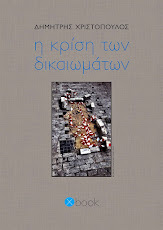 The opponents were professionals, whereas the Greek government were amateurs — Don Quixotes. But when you want to kill the king and you fail, you better recognize it and go home instead of starting to work for him. Or, at least you do not endorse the king’s agenda as if it has always been yours. After all, honesty is a political virtue.